HOT DIGGITY DAWG! 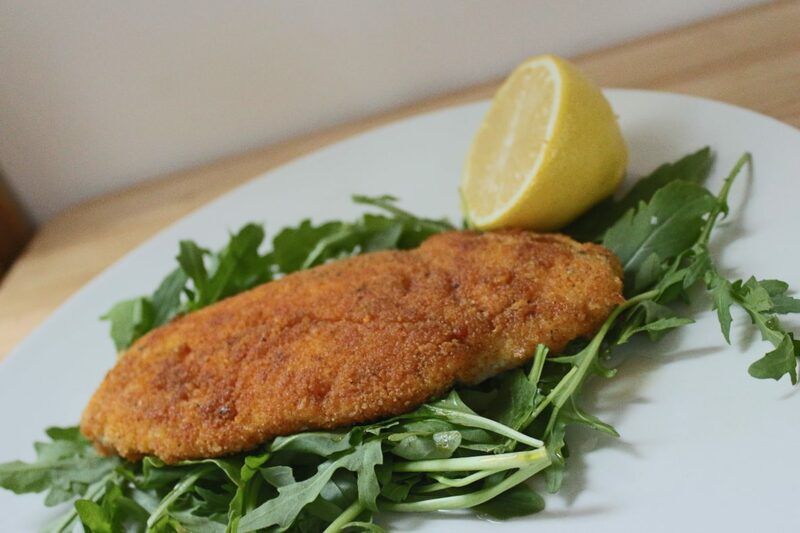 The flavours in this crumbed chicken are seriously THAT good. Herbs & Spices are amazing to add flavour and extra nourishment you don’t even realise your adding. Smoked Paprika contains an ingredient called capsaicin, which is responsible for its anti-inflammatory properties, it also includes Vitamin A, E & Iron! Boom – added it to your dishes to give an amazing smokey flavour with all the goodies! Cayenne Pepper is an incredible detoxifier by moving bacteria and toxins out of the body. Oregano is an amazing anti-fungal and antibacterial herb, used as an ancient healer for so many health concerns. Cummin can aid in digestion as it stimulates the glands in our mouth, which facilitate the primary digestion of food. Crazy to think all of these benefits are just from adding a few herbs and spices to your dinner?! This is why I love cooking with fresh, real ingredients, you learn so much and benefit your body in so many incredible ways. I love cooking this easy dish and adding one of the simple salads or sweet potato wedges! check them out here. Very good mid-week meal! Cook more and use the left overs for lunch the next day. Place the chicken breasts on a chopping board and use a sharp knife to slice horizontally in half, through the breasts to create two thinner breasts. Flatten the slices with a meat mallet, if still too thick. Lay out three 1 bowl, 2 plates. Whisk 2 Eggs in the bowl. Put the GF flour on one plate. The bread crumbs and Herbs (Smoked Paprika, Cayenne Pepper, Oregano and Cummin & Salt) on the last plate. Using one hand, lightly coat each piece of chicken in the flour, shaking off the excess. Dip into the egg then coat with breadcrumbs. Heat a deep frying pan with the coconut oil on a medium heat. Fry the schnitzels 1 or 2 at a time, cooking until golden brown on each side approx 2mins each side. When cooked, place on paper towel to remove excess oil. Serve with your favourite side and enjoy! Please let me know what you think of these flavours. I absolutely love them and would love to see what you think.